It is a chronic cough, persistent, lasting longer than three weeks, disturbing people, and having a diagnosis and treatment problem. According to scientific studies, the second most common complaint is to see a doctor. It is among the most common findings of many respiratory and systemic diseases. It is therefore necessary to emphasize persistent coughing because it is a symptom rather than a disease, a symptom of many diseases, and a large number of different causes. In recent years, the cough mechanism has begun to be understood, and diagnosis and treatment have become more successful. It is caused by different reasons in adults and children. In adults, nasal discharge is the most important. The most common cause in children is asthma. 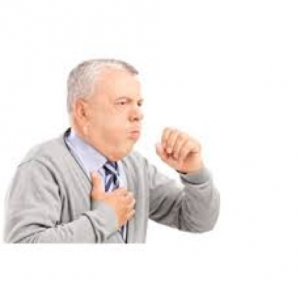 Reflux, chronic lung disease drugs and allergies are other important problems that lead to chronic cough. Genetic flow is caused by multiple causes. Sinusitis, allergic and non-allergic rhinitis, inflammatory disease after discharge, smoking and environmental irritants are the leading causes of discharge. The use of the ACE inhibitor named drug group in the treatment of smoking and hypertension must be questioned in a person with chronic cough. If so, these two factors must be cut off. In these patients, a definitive diagnosis of dangerous diseases such as lung and laryngeal cancer, tuberculosis, heart failure, a mass in the abdomen and sarcoidosis must be made. For those who are not healed, lung and sinus films, allergy tests, respiratory function tests are required depending on the condition of the complaints. Chest and lung tomography, bronchoscopy, reflux tests may be needed at a later stage. It should not be forgotten that there may be more than one cause of this discomfort from time to time, and if the disease does not improve despite treatment, other causes must be re-examined. Care should also be taken with regard to commonly used cough syrups without consulting a doctor. A wide variety of cough syrups each contain different active ingredients. In most cases, while taking the ingredients for colds, some have a sputum-removing effect, others have a coughing effect. In cases where the cause of the cough is unknown, cough syrups with coughing effects may cause delays in the diagnosis of the underlying disease. Such a cough syrup should not be used unless a doctor recommends it.Sputum cough is usually seen in infections of the respiratory tract. Sometimes, blood on the sputum cough can also be seen. This is usually an indication of an important disease such as lung cancer, bronchiectasis or tuberculosis. “Smoking cough” delays recognition Sputum cough is common in smokers, which is actually very dangerous. Those who are at risk for significant lung diseases such as chronic bronchitis, emphysema and lung cancer because they already smoke, normalize coughing and lose their early diagnosis. Exposure to smoking is also harmful. Chronic cough is observed in 50 percent of children living in homes where parents smoke. When should go to doctor?Cough can also be a symptom of diseases like heart failure. If the patient is having sputum green, yellow or rust,If other symptoms persist and the cough lasts longer than 21 days,If the cough is accompanied by fever or bloody sputum, there may be a clinical problem that needs to be treated ….